Despite its attractive features as a power source for direct alcohol fuel cells, utilization of ethanol is still hampered by both fundamental and technical challenges. The rationale behind the slow and incomplete ethanol oxidation reaction (EOR) with low selectivity towards CO2 on most Pt-based catalysts is still far from being understood, and a number of practical problems need to be addressed before an efficient and low-cost catalyst is designed. Some recent achievements towards solving these problems are presented. Pt film electrodes and Pt monolayer (PtML) electrodes on various single crystal substrates showed that EOR follows the partial oxidation pathway without C–C bond cleavage, with acetic acid and acetaldehyde as the final products. The role of the substrate lattice on the catalytic properties of PtML was proven by the choice of appropriate M(111) structure (M = Pd, Ir, Rh, Ru and Au) showing enhanced kinetics when PtML is under tensile strain on Au(111) electrode. Nanostructured electrocatalysts containing Pt–Rh solid solution on SnO2 and Pt monolayer on non-noble metals are shown, optimized, and characterized by in situ methods. Electrochemical, in situ Fourier transform infrared (FTIR) and X-ray absorption spectroscopy (XAS) techniques highlighted the effect of Rh in facilitating C–C bond splitting in the ternary PtRh/SnO2 catalyst. In situ FTIR proved quantitatively the enhancement in the total oxidation pathway to CO2, and in situ XAS confirmed that Pt and Rh form a solid solution that remains in metallic form through a wide range of potentials due to the presence of SnO2. Combination of these findings with density functional theory calculations revealed the EOR reaction pathway and the role of each constituent of the ternary PtRh/SnO2 catalyst. The optimal Pt:Rh:Sn atomic ratio was found by the two in situ techniques. Attempts to replace Rh with cost-effective alternatives for commercially viable catalysts has shown that Ir can also split the C–C bond in ethanol, but the performance of optimized Pt–Rh–SnO2 is still higher than that of the Pt–Ir–SnO2 catalyst. 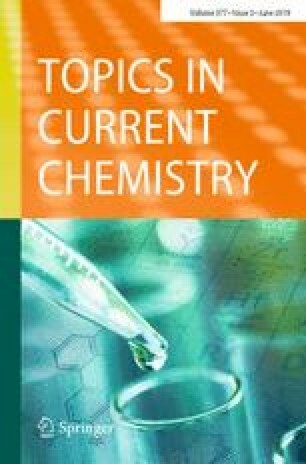 This article is part of the Topical Collection “Electrocatalysis”; edited by Guoxiong Wang. This research was performed at Brookhaven National Laboratory under contract DE-SC0012704 with the US Department of Energy, Office of Basic Energy Science, Material Science and Engineering Division, Division of Chemical Sciences, Geosciences and Biosciences Division. X-ray absorption studies were conducted on National Synchrotron Light Source (NSLS) at Brookhaven National Laboratory, in Upton, NY, and Stanford Synchrotron Light Source (SSRL) at SLAC National Accelerator Laboratory in Stanford, CA. The authors are indebted to the beamline staff Sayed Khalid (NSLS) and Matthew Latimer (SSRL) for their help. Beamlines X18a, X18b, and X19A at the NSLS, as well as BL 2–2 at the SSRL were supported in part by the Synchrotron Catalysis Consortium, U.S. Department of Energy Grant no. DE-SC0012335.